Imagine that the trail you’re following twists through thick forests and sun-drenched meadows and your eyes move upwards to the snow-tipped peaks. Actually, you don’t have to imagine it, look below for our best horse powered recommendations. 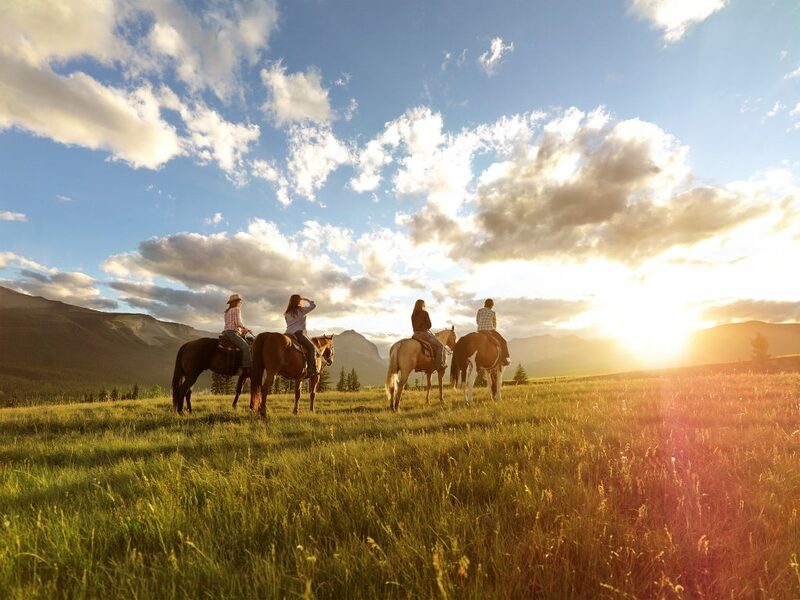 In our opinion, the Rockies is the perfect place to horse around with its enticing trails amidst the rugged crags and towering peaks of Banff National Park. Knowledgeable and friendly guides will make you feel confident with your horse and the train, no matter your skill level. Early explorers rode horses to cover the vast Canadian terrain, and you can, too. Saddle up and savour the ride as expert guides take you through mountain valleys, forest trails and lakeside paths. It’s a peaceful and charming way to be one with nature and spend time with your loved ones. Can’t get enough horseplay? We’ve got the inside track on multi-day horseback riding excursions that will fully immerse you in the cowboy way and show you a Canada you might not have seen otherwise. Your guides will set you up in rustic cabins or lodges - or you can camp under the stars on this classic Canadian adventure. We love ranch vacations not only for the horseback riding but all the things that come with the lifestyle: whitewater rafting, hiking and campfires.